In the 2016 presidential candidate field as it stands, Bernie Sanders is widely viewed as the standout progressive who has been steadily wooing left-leaning Democratic voters from Hillary Clinton. But one aspect of his political career that might discredit the champion of the left? His stance on gun control. According to his voting record as both representative and senator of Vermont, Bernie Sanders may be more pro-gun than his supporters might be comfortable with. Now, in light of the recent Chattanooga shootings, the so-called Democratic socialist is backpedaling to clarify his position, but his history of supporting gun bills is a thorn for his progressive backers that could affect their vote. I come from the state which has virtually no gun control. And yet, I voted to ban certain types of assault weapons, I voted to close the gun show loophole. In the same vein, he went on to emphasize the importance of background checks when purchasing guns. Nobody should have a gun who has a criminal background, who's involved in domestic abuse situations. People should not have guns who are going to hurt other people, who are unstable. Furthermore, Sanders outright denounced the sale of certain types of firearms. And second of all I believe that we need to make sure that certain types of guns used to kill people, exclusively, not for hunting, they should not be sold in the United States of America. If you passed the strongest gun control legislation tomorrow, I don't think it will have a profound effect on the tragedies we have seen. But that's not all. Interview utterances aside, Sanders had made official decisions that put him squarely on the Republican side of the gun debate. 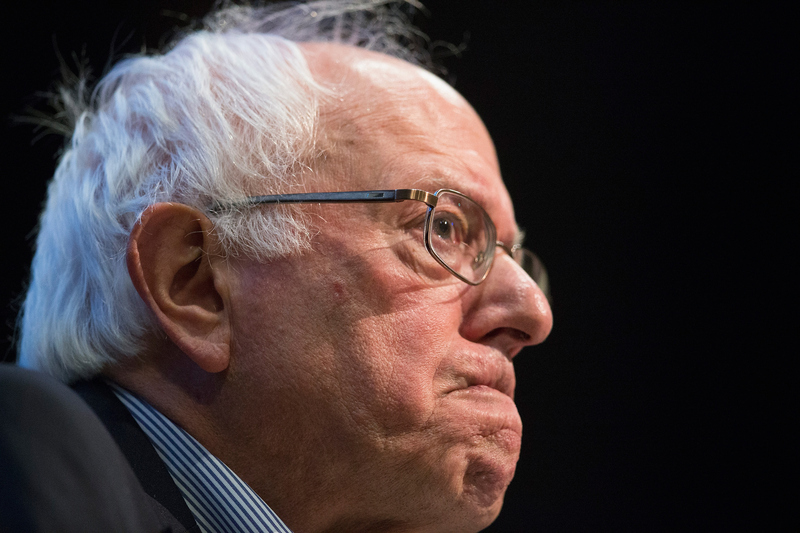 Here are three ways Sanders has opposed gun control in his political career. Perhaps the most uncharacteristic move of Sanders' career was when he voted in favor of the 2005 Protection of Lawful Commerce in Arms Act, a bill whose passing was a longtime priority for the NRA. Under the law, gun manufacturers, dealers, and distributors are protected from liability if owners use their firearms illegally. For example, if a manufacturer made an automatic assault rifle that was then used to kill dozens in a mass shooting, the families of the victims wouldn't be able to sue the manufacturer for negligence in producing such a weapon. When it passed in Congress and was signed into law by George W. Bush in 2005, the NRA called it "the most significant piece of pro-gun legislation in 20 years." It's kind of hard to sell yourself as anything but pro-gun when you vote for a bill that the NRA describes in that way. In 1993, when Sanders was a representative of Vermont, he voted against the Brady Handgun Violence Prevention Act, which mandated federal background checks on U.S. gun buyers and enforced a five-day waiting period on all purchases. The Brady Act essentially began the process of background checks on firearms purchases, a system that seems like an indisputable necessity today, and yet, Sanders voted against it. The bill passed regardless and was signed into law by President Clinton in November 1993. In 2007, Sanders voted for a bill amendment that prohibited funds from international organizations that required the registration of or taxed guns owned by U.S. citizens. The amendment was in response to what Senator Vitter of Louisiana described as the U.N.'s attempt to introduce gun control in other countries, which might not be a bad thing? Interestingly, the amendment passed with significant bipartisan support.